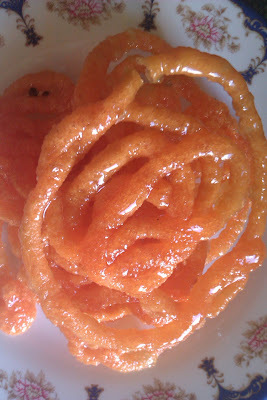 This is a very yummy and easy version of Jalebis out there. 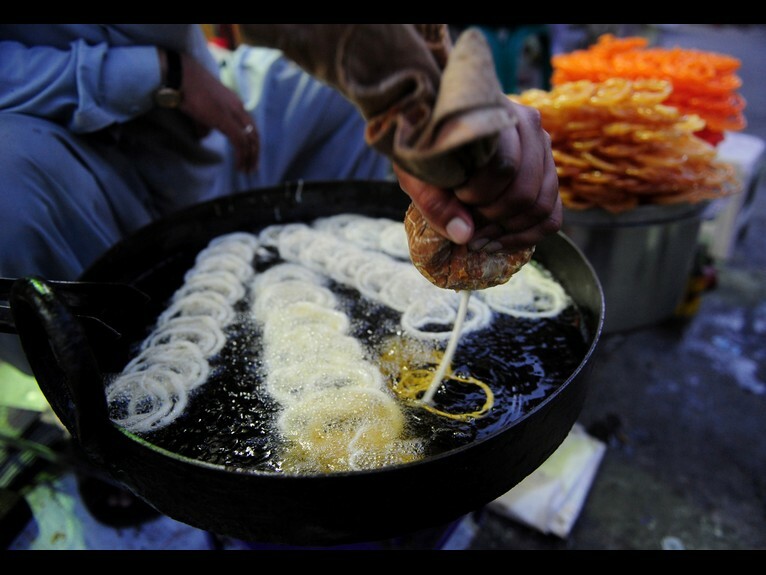 The thing with Jalebis is that the batter takes a lot of time preparing, and i,m really not the patient type. So i found a recipe that is quick and has the same delicious outcome. These Jalebis are best eaten hot, and they also go well cold with black tea. 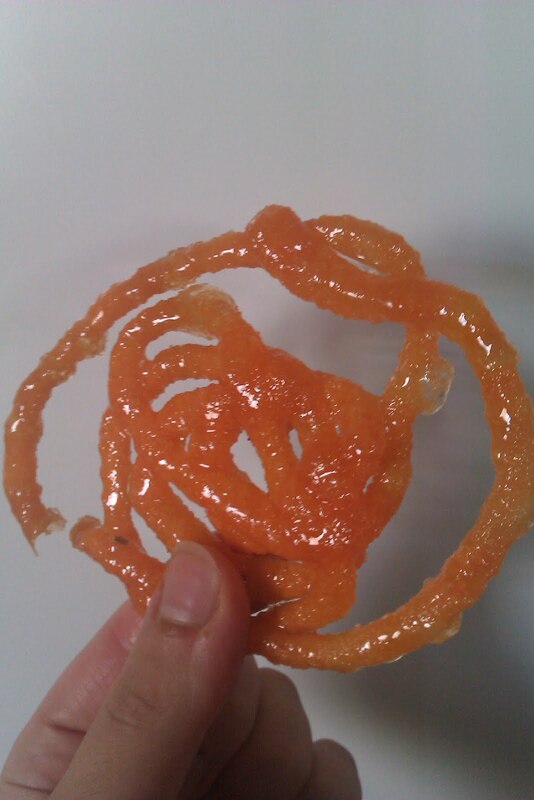 Jalebi is a Pakistani/Indian sweet. They are very popular and are sold everywhere (mostly on the side of the roads). I got this recipe from my cousin from Sydney. Thanks to her now i am able to make this sweet instantly whenever i feel like it. I have tried various recipes but with disappointing outcomes. - For the syrup, add all the ingredient in a pan and bring to boil so that the sugar is dissolved and turn off the heat..
- In a pan heat up enough oil. Pour the batter in a tomato sauce bottle and squeeze making circles. 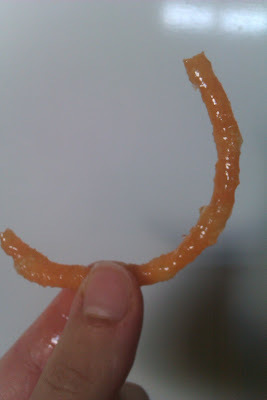 Fry on each side till crisp, make sure not to burn it and transfer it to the sugar syrup. * you can play around with the flavors. cardamom can be swapped with cinnamon or any other flavors that you like. This does look tasty! 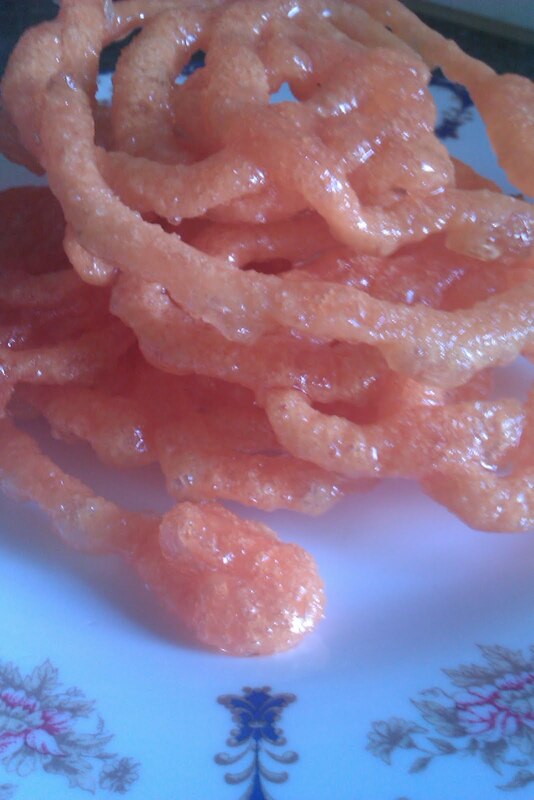 This kind of reminds me of the funnel cakes we have here in the US. However, I like the syrup blend you use here, we just use powdered sugar on top. Glad to stop in and find something unusual as well as delicious!